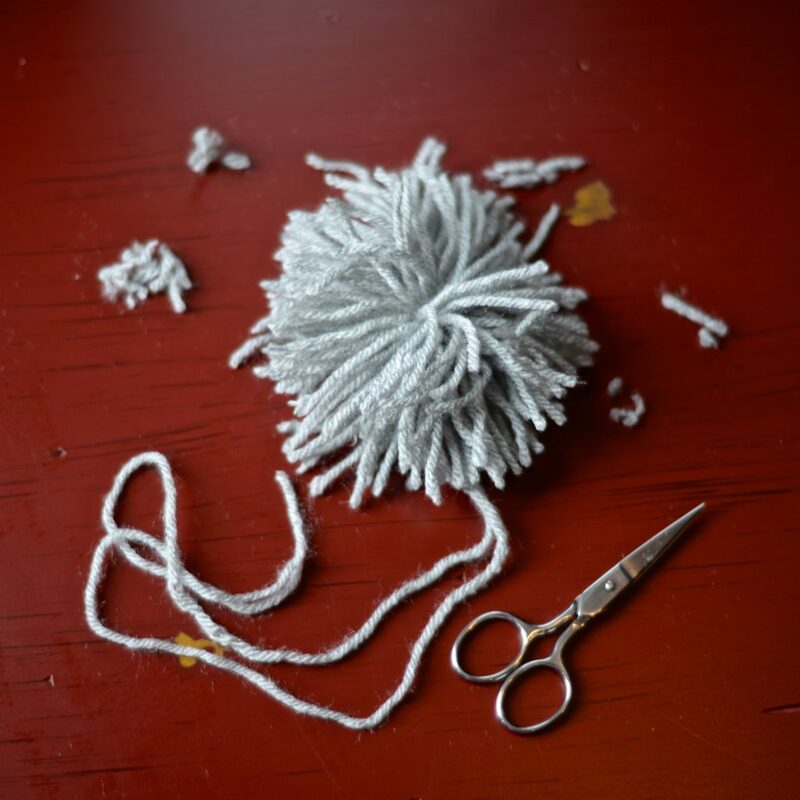 Are you tired of your yarn poms turning into an asymmetrical nightmare that causes you to keep trimming and trimming and trimming until you’re left with nothing but the knot you secured it with? 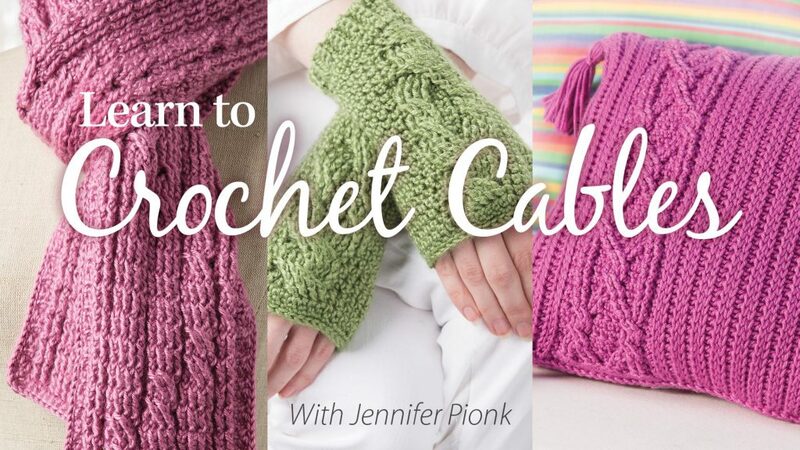 They can cause your blood pressure to rise and turn what is supposed to be a relaxing, calming craft into one of the reasons you crochet in the first place! 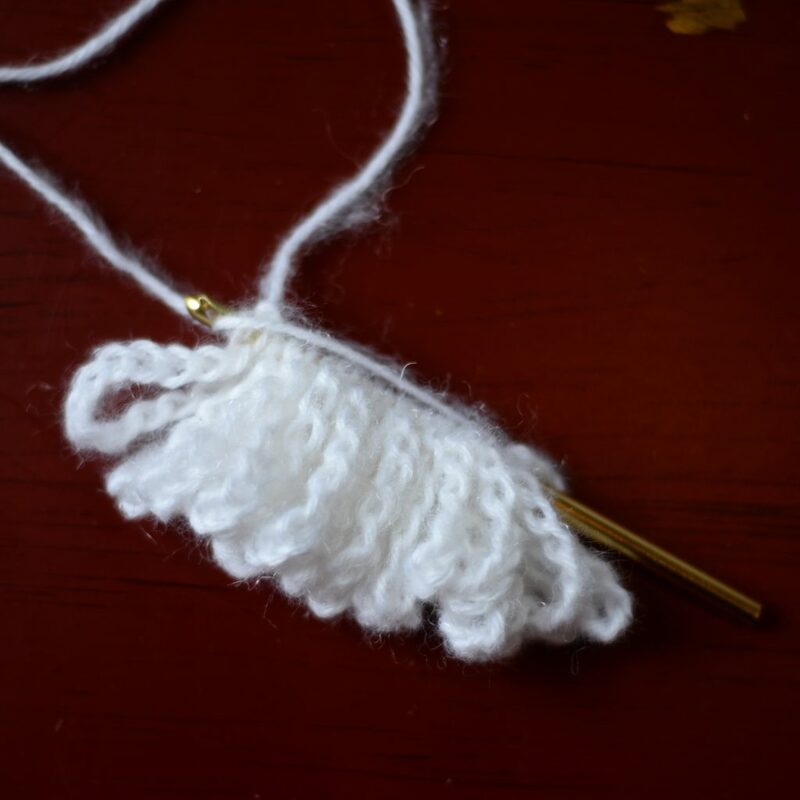 So, let’s do away with those wonky, crooked, messy, frustration causing, sneeze inducing yarn poms and go for the alternative option, a Chain Loop Yarn Pom. 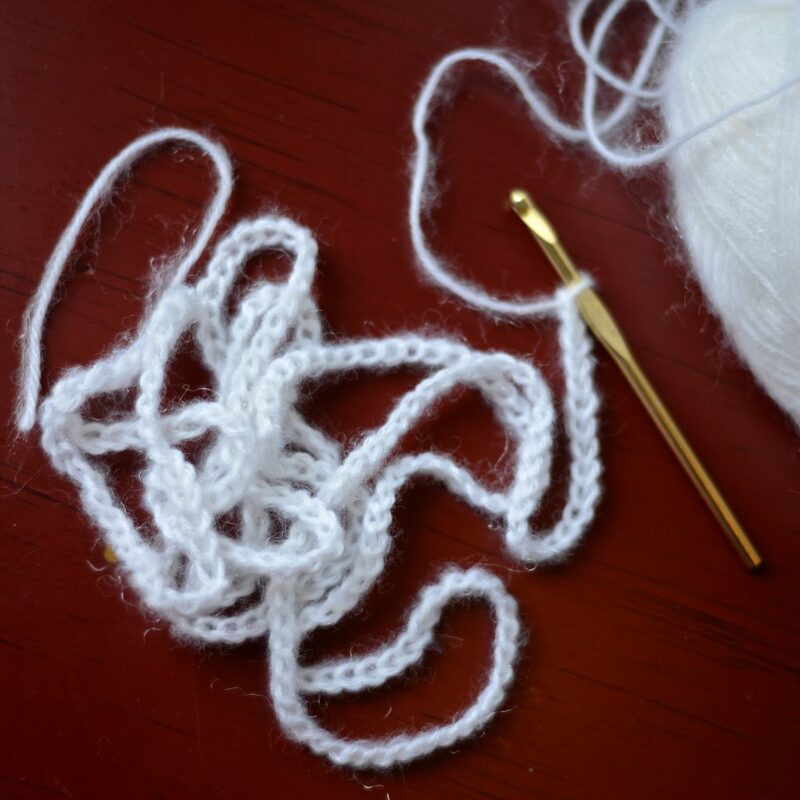 Chain Loop Yarn Poms are your less mess, frustration free, peace inducing alternative, so you can have a calming evening of crochet poms (read in the voice of the Unisom commercial voice.. admit it, you know you read it that way too). Chain Loop Yarn Poms are a great project for kids too! 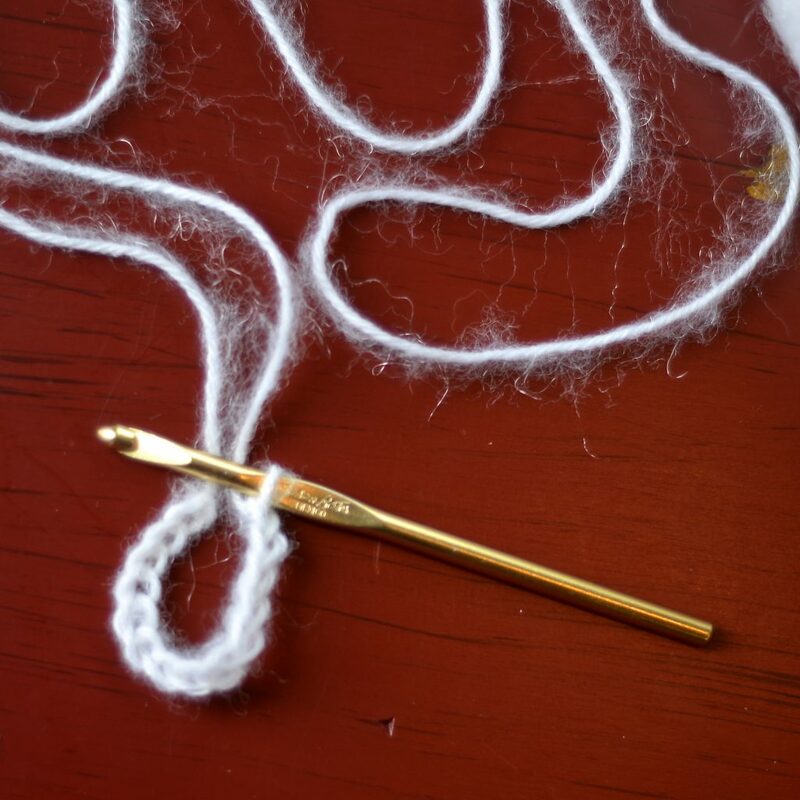 Crochet Hook (6mm crochet hook shown, use any size you’d like that works well with the weight of yarn you’ve chosen) *Tip: try to avoid ergonomic hooks for this. You’ll see why. Size of the Loop: For this tutorial I’ve chosen the size of my loops to be 14 chains using a worsted weight yarn and 6mm crochet hook. 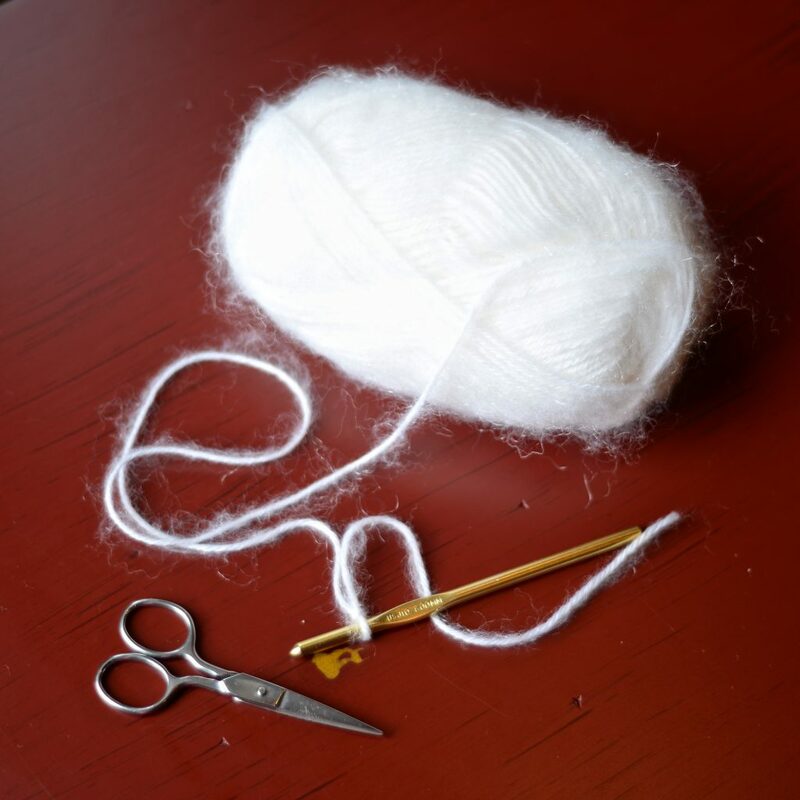 Step 1: Decide how big you’d like your pom to be and chain the number of stitches you’ll need to make it that size. I use the trial and error method: chain a few, fold it in half to check the size of my loop, chain a few more, fold it over again to check size…until I have the size loop I’d like. Step 2: Determine how full (or floppy) you’d like your pom. 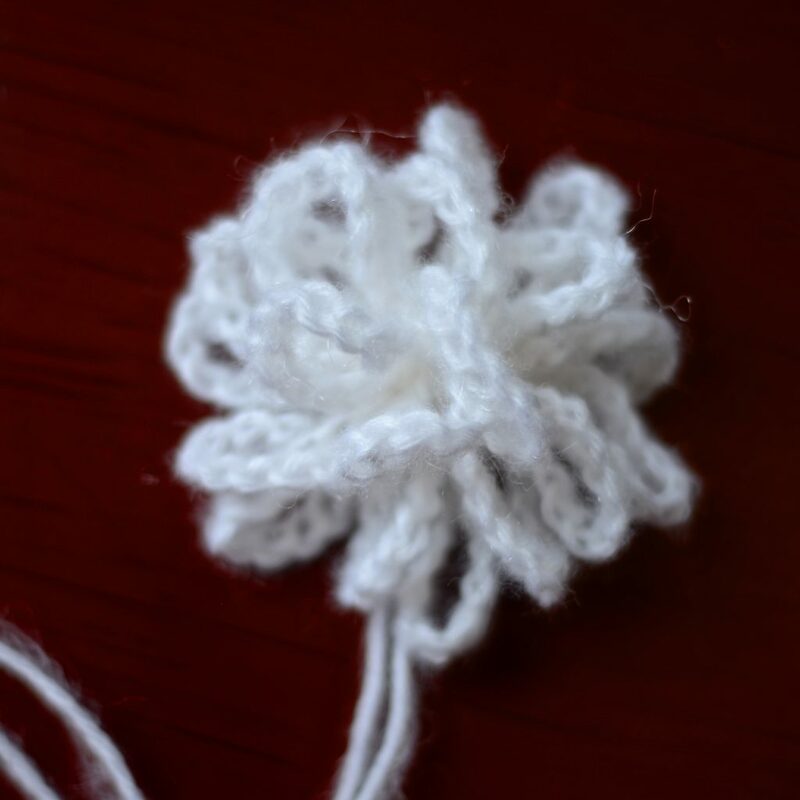 For this tutorial, I’ve chosen to make 20 loops for my pom. Again, trial and error here until you get the desired look you’re going for. 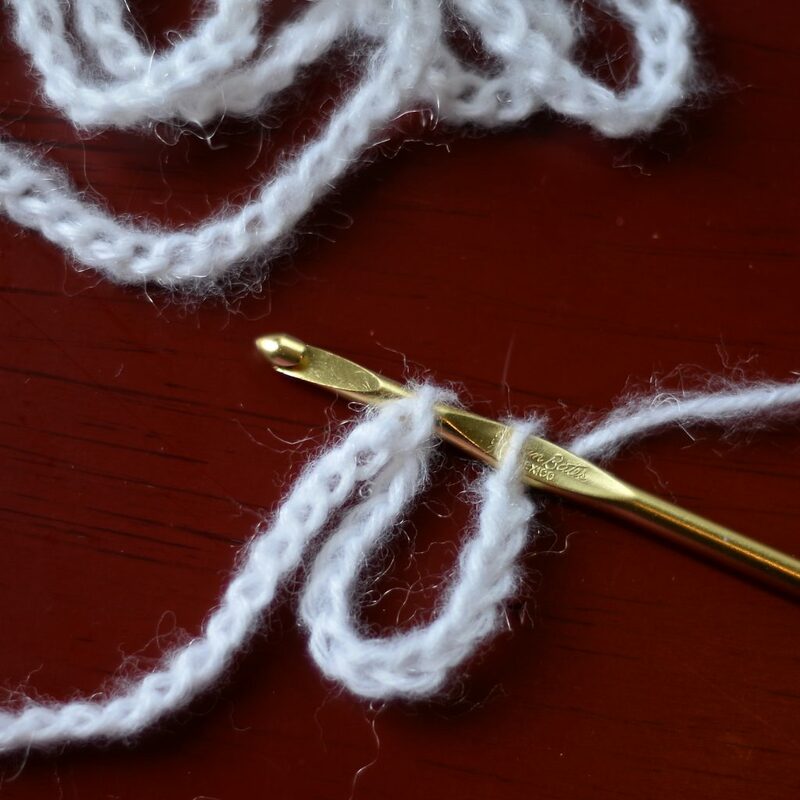 *The weight of yarn you’re using will greatly affect fullness of your pom, lighter weight yarns will require a greater number of loops and heavier weight yarns will require fewer loops. Step 3: Figure out how long to make your foundation chain by multiplying the number of chains you’d like for each loop by the number of loops you’ll be making. For my pom, I will multiply 14 chains x 20 loops which gives me a foundation chain of 280. Step 5: Count 14 chs (or whatever the size of your loop is), and insert your hook into that 14th ch. Repeat across your foundation chain. *See photo below. Step 6: After you’ve inserted your hook into every 14th ch (or whatever your custom number is), yarn over, pull thru all loops on your hook, yo, pull thru one more loop to secure. Step 7: Fasten off, leaving a tail to attach it to a project & Shake It! 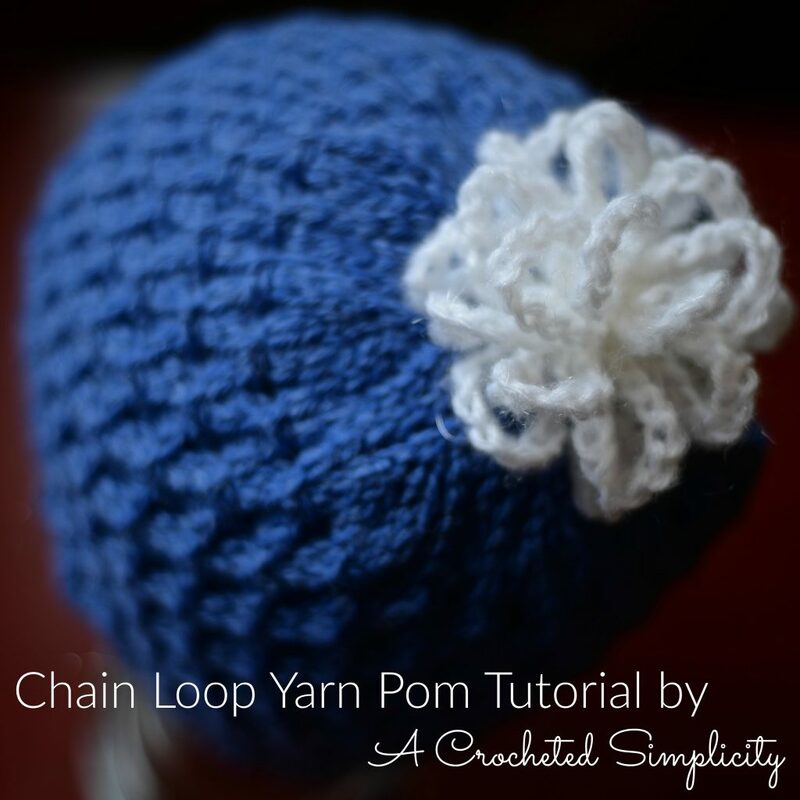 Now your Chain Loop Yarn Pom is complete and ready to be added to any of your projects! 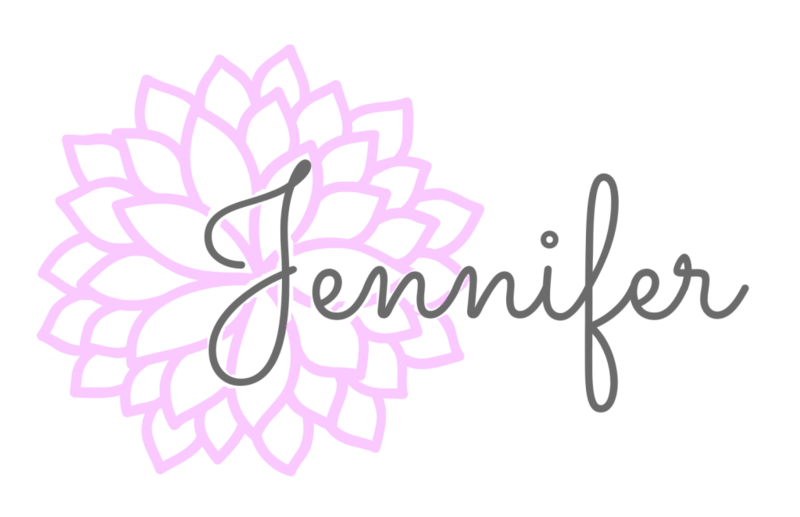 If you LOVE the look of fur poms, check out my Free Tutorial here –> Faux Fur Yarn Poms. I’d love to see your finished projects that you add Chain Loop Yarn Poms to! Please share them in the A Crocheted Simplicity Crochet Community Group on Facebook! Thank you for this tutorial! I saw something like this a couple years ago, but there was no tutorial. Also, a great option for baby hats to eliminate a choking hazard on traditional pom poms. I agree! It’s great for babies!